After several weeks of temperatures in the high forties and low fifties we finally got some low temps and better yet a good storm to come through. I love the fresh snow. There’s nothing better to drive around and photograph then right after it just snowed. That’s cause everything is still cold, nothing has melted and the trees are still covered. Unfortunately the bad side is it usually means gray skies which are so boring. Sunday morning the skies let up over the area after hours of a bitter fog cover, giving us a beautiful blue sky day. After a little convincing I got my roommate out of the office and out shooting too. Where better to go on a frosty morning than to Hyalite Canyon. Hyaltie is one of those great places in the mountains to just relax. 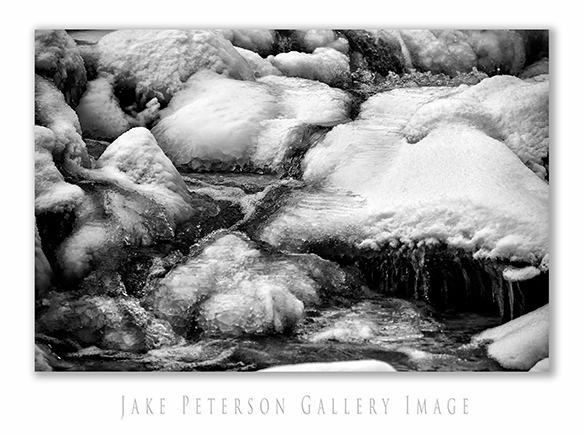 Just south of Bozeman the canyon offers lots to the winter photographer. We didn’t get far into the canyon before finding a good place to pull over. 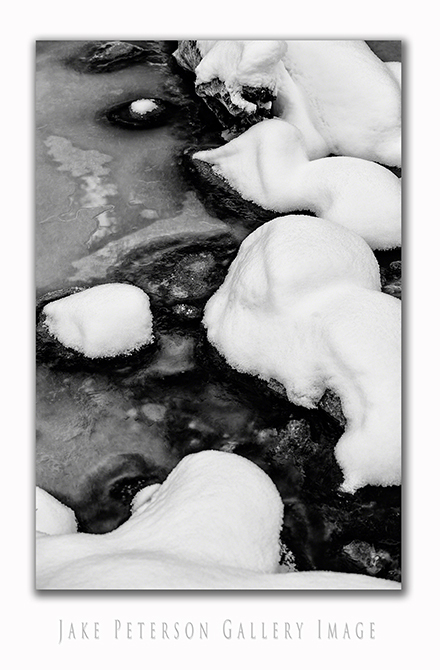 The snow covered rocks were a particular favorite of mine. 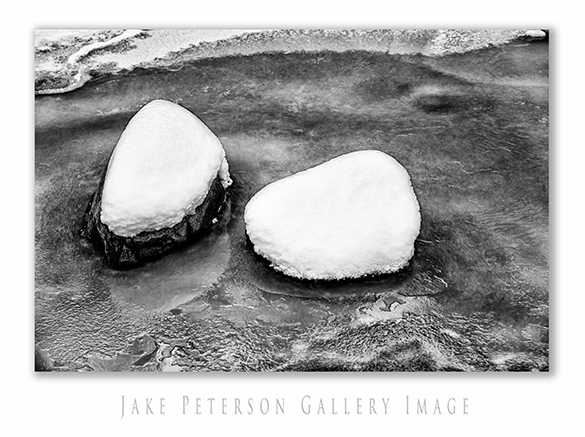 Easy to work with, the snow covered rocks added the two main elements needed for a good black and white. A white point and a black point. Now we didn’t find a really good falls to photograph but found plenty of little falls. 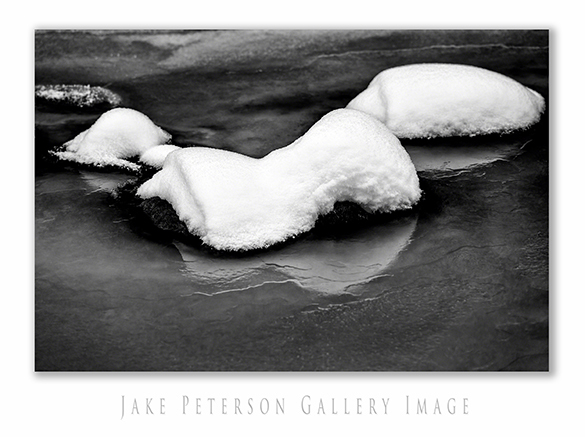 Each one of the spots where the water wasn’t frozen combined with the snow and ice added something to the story. With a 70-200 it’s real easy to find photographs inside the big picture.